Synergy of experience and technologies allows stating that we are always a step ahead of your wishes. Do not look for an alternative, we are offering only the best! No advertisement throughout 25 years, but the line of those wishing to cooperate with us is not becoming shorter. Quality control at each stage of production ensures the top quality result, which often exceeds customers’ expectations. Tens of successful unique projects, positive customers’ reviews, experience of work with foreign partners in many countries, engineering know-how: the sky is the limit for the consolidated team of “PYSANKA” Company. 25 years of continuous improvement and hard work add inspiration for future development. We rely both upon huge experience and talented professionals who are moving beyond. Everything started from wonderful idea and the name of “PYSANKA”. From the very first days of existence, the enterprise co-opted the best traditions of blacksmithing, metalwork, getting heritage from spiritual layers of our people, paying attention to the best world achievements. This non-ordinary approach in creative work ensured the appearance of likeminded people, united in one team. We are changing ourselves to make the environment more perfect. Our skills are based on many years of experience, honesty and reliability. This is a prerequisite for our professional competence we meet every customer. we are leaving behind us……. 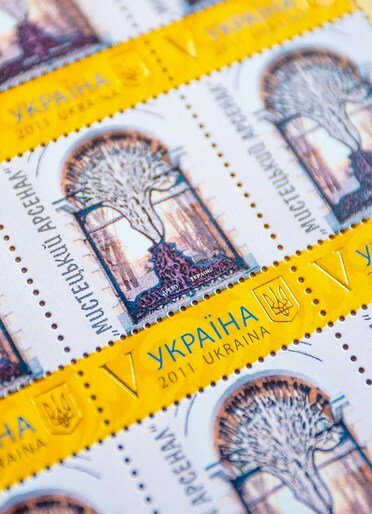 In February 2015 “Ukrposhta” issued a limited run of postage stamps depicting stylized cast-iron gates under the symbolic name “The Tree of Ukraine”. The gates have been decorating the entrance to the “Art Arsenal” in Kyiv since 2008. According to art experts, the stair railing to St. Onufri monastery in Lviv is ahead of time by its compositional concept and does not have any analogues worldwide. The photographs of this work of art got into academic editions and foreign magazines. 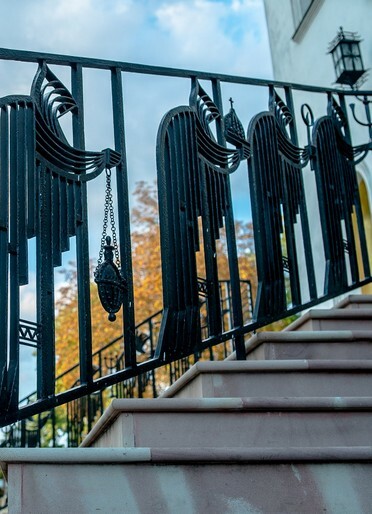 Appearance of the said railing is the result of cooperation between “PYSANKA” and a distinguished artist-blacksmith Oleh Bonkovskyy.